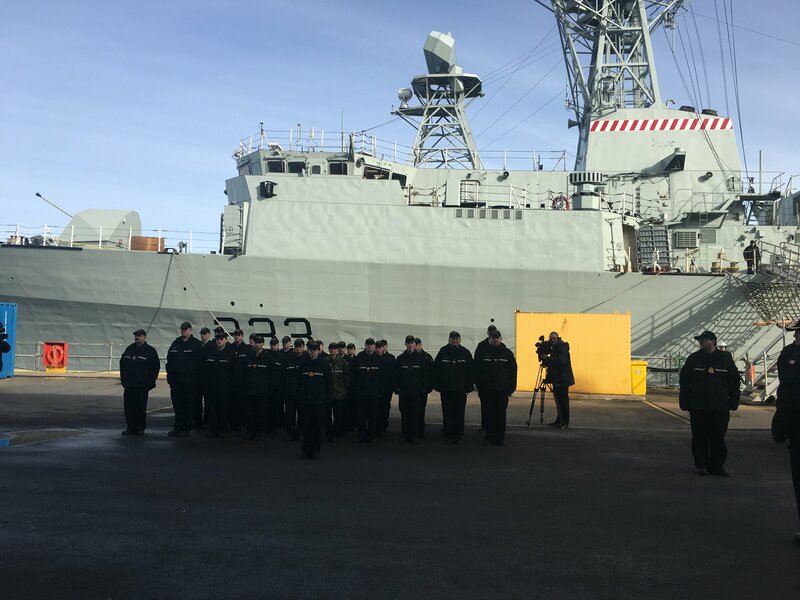 HMCS Toronto was handed back to the navy this morning – the 7th and final Ship to go through the FELEX program at Halifax Ship yards. 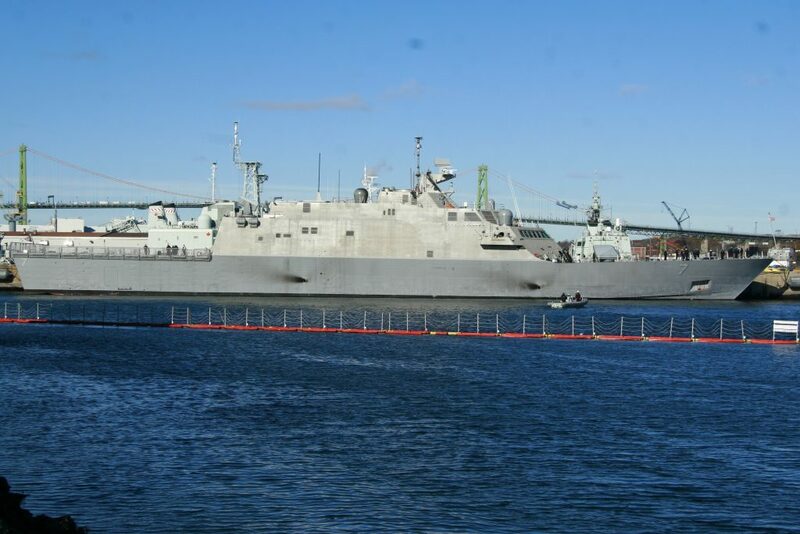 HMCS Fredericton is the first FELEX’d ship to see overseas deployment, and is currently serving with Nato in Europe. HMCS Halifax was the first ship to complete the Upgrades, Being handed back to the navy in January 2013. This entry was posted in FELEX, Halifax Shipyard, Navy on November 29, 2016 by Peter. Word is Iroquois will be towed to the scrapers this Thursday at 5pm. She will be towed to Liverpool NS and joins Protecteur and Algonquin already being scrapped there. This entry was posted in Navy, news, scrap on November 22, 2016 by Peter. The Icebreaking capable vessels that are approaching the limit of their notional operational life and undergoing Vessel Life Extensions (VLEs) to keep them in service until replacement vessels can be built and delivered via the National Shipbuilding Strategy. The VLEs are scheduled to take place from 2017 until 2023, with up to three (3) vessels undergoing repairs each year. While efforts are being made to minimize work that would occur during an icebreaking season, the VLE work will remove some vessels from service for a significant period of time. The Canadian Coast Guard (CCG) currently has two (2) Heavy Ice Breakers (HI), four (4) Medium Icebreakers (MI), and nine (9) Multi-Task Light Icebreakers in its inventory. The Coast Guard deploys these vessels in Canada’s Arctic waters during the late-Juneto mid-November period (the Arctic season), and South of 60oLatitude from the December to May period (the Southern season). The vessels are based in Quebec City, Quebec; Dartmouth, Nova Scotia; Victoria, British Columbia and Argentia and St. John’s, Newfoundland and Labrador. The Coast Guard is also looking at commercial towing options for standby tugs. the John 1 Incident (we covered that tow well) was specifically mentioned as a case where this service would have been beneficial. It looks like the government is looking to buy the services of an existing company. Given the number of out of work offshore supply vessels – some of which are ice class, there should be some interesting responses. This entry was posted in CCGS, news on November 17, 2016 by Peter. With Saint John NB changing container terminal operators from Logistec to DP World, Effective January 9th, 2017, Tropical Shipping will move its port operations to Halterm Container Terminal. Tropical Shiping specializes in shipping cargo to the Caribbean, and around the Caribbean. It sounds like a weekly service is coming to Halifax. The Port of Saint John has launched a C$205 million project over seven years to modernize the Rodney and Navy Island terminals to accommodate larger vessels and expand laydown areas for breakbulk and project cargoes. DP World Saint John recently took delivery of two post panamax container cranes. This entry was posted in container ship, halterm, new service, news on November 12, 2016 by Peter. USS Detroit sailed at noon, on her way to her new home port. This entry was posted in USN, visiting ship on November 12, 2016 by Peter. 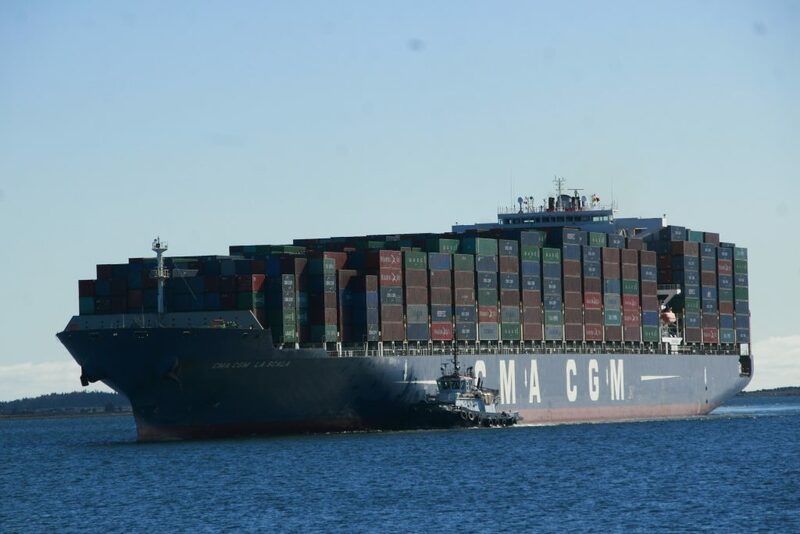 This entry was posted in CMA-CGM, container ship on November 12, 2016 by Peter. 267 flower class corvettes were built over the course of the war. Small and Cheap, they were based on an existing whaler design. There are two distinct groups of vessels in this class: the original Flower-class, 225 vessels ordered during the 1939 and 1940 building programmes; and the modified Flower-class, which followed with a further 69 vessels ordered from 1940 onward. The modified Flowers were slightly larger and somewhat better armed. Many improvements were made to the ships as they served, and there are many differences in appearance between the ships. Sackville was converted to a fisheries research ship in 1952, and remained in that role until 1982. Of Note, HMCS Louisburg and HMCS Lachute served in the Dominican Republic navy until 1979, when they were wrecked by a hurricane. HMAS Diamantia – River Class Frigate. The River class was a class of 151 frigates launched between 1941 and 1944 for use as anti-submarine convoy escorts in the North Atlantic. The majority served with the Royal Navy (RN) and Royal Canadian Navy (RCN). 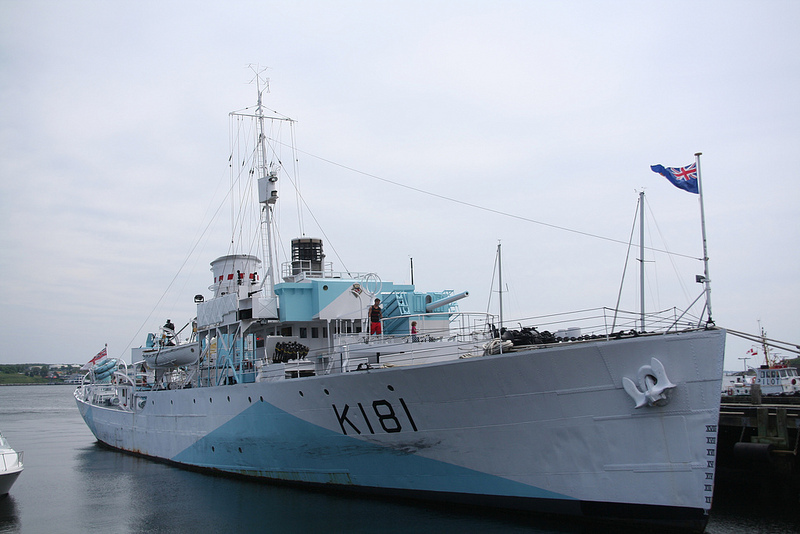 Canada originally ordered the construction of 33 frigates in October 1941. The design was too big for the shipyards on the Great Lakes so all the frigates built in Canada were built in dockyards along the west coast or along the St. Lawrence River. In all, Canada ordered the construction of 70 frigates. Designed to improve on the Flower Class, the River Class features more space, a second engine, improved range and better weapon sytems over the Flower Class. 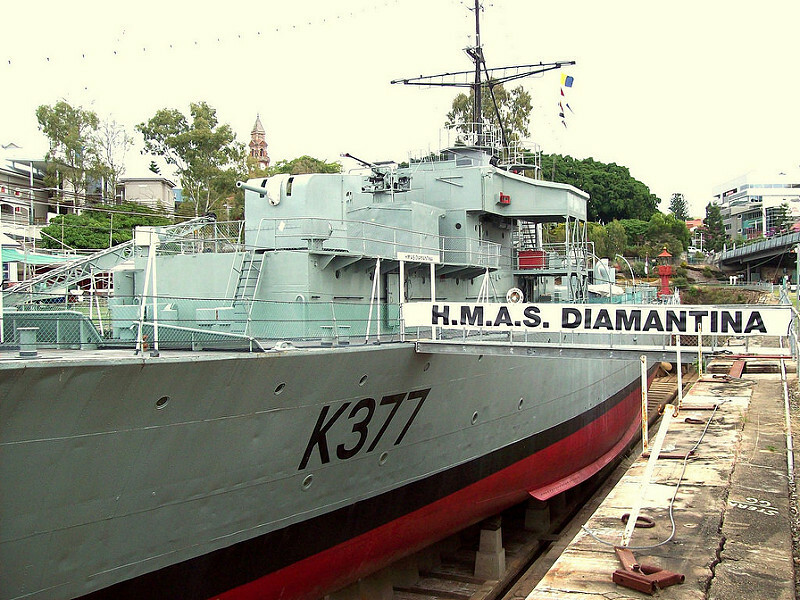 HMAS Diamantia was one of 12 frigates built for the RAN. After the war she was converted to a survey vessel, and remained in that role untill 1980.
the Canadian Tribals were built in 1936, and were the most modern warships in the RCN.Fast and well armed, they served in the second world war and Korea, lasting well into the 1960’s. 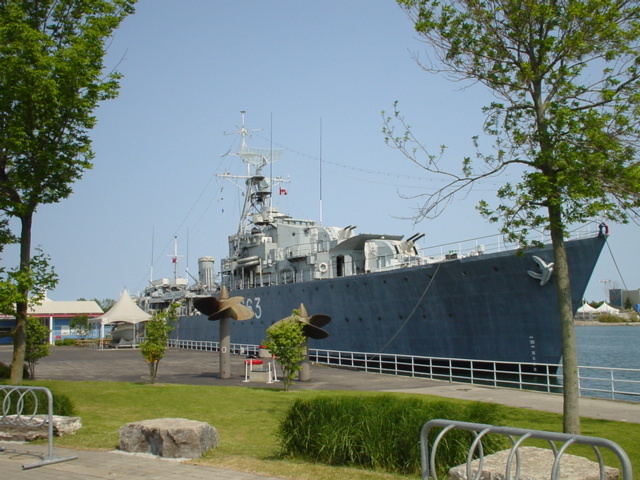 HMCS Haida was converted to a museum in Toronto, and later taken under care by Parks Canada and moved to Hamilton. This entry was posted in history on November 10, 2016 by Peter. 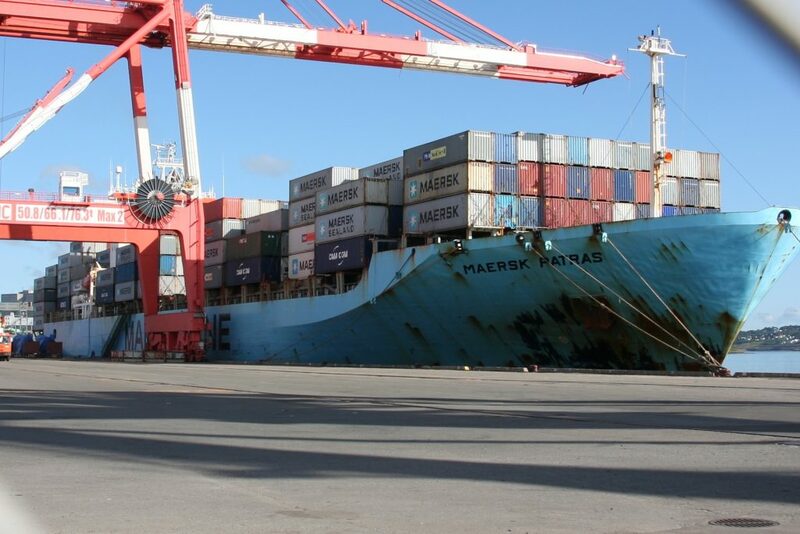 Maersk Patras was a regular caller in Halifax on the weekly Maersk call, But had been replaced by Em Kay in 2014. On November 2, she suffered an engine room fire 90 miles ESE of Las Palmas. she lost all power, was towed to port, and offloaded. Given the ships age, She is likely bound for the scrappers given the market for small container ships and the damaged engine room. Atlantic Erie is also bound for Turkish scrappers. She ran aground in January 2015 leaving port in the Magdalen islands with a salt cargo. She was refloated, and surveyed. With extensive hull damage, she hasn’t sailed since. Atlantic Erie was a regular caller in Halifax over the years, and underwent a work period in 2009 at Halifax shipyards. This entry was posted in bulker, container ship, CSL, maersk, scrap on November 9, 2016 by Peter.